Lee with his team mates and coach, Matthew Melling. Mum and superfan Lisa Lee joined her son on a trip of a lifetime to New York for the 2018 Dodgeball World Cup – thanks to saving with Unify Credit Union. Ten-year-old Sam is the youngest player on the Wigan Dodgeball Warriors team and was selected to compete at the iconic Madison Square this summer. The pair had never been abroad together before – but saving with Unify made it possible for Sam to be joined by his main cheerleader! Lisa, a support worker from Aspull, joined Unify three years ago. She said: “I never had any savings before I joined Unify. When I found out about Sam’s trip, I started saving my child benefit into my Unify account every week. “Saving with Unify was the only way I could afford to go, and it was a dream come true! Us parents were so proud of what the children had achieved. I am surprised you didn't hear our cheers back in Wigan! 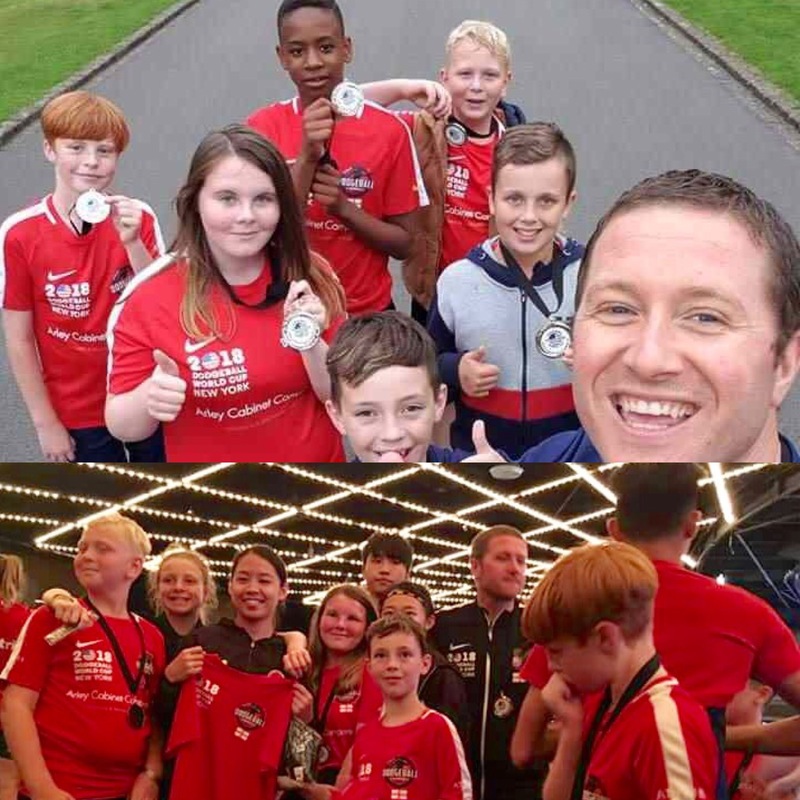 The team were coached by 'Wigan Runner' Matthew Melling who, alongside his coaching role, ran 5k every day in far flung places - from Reykjavik to Chernobyl - for more than a year to fundraise for good causes, including the dodgeball trip. Matthew said: "It was a very proud achievement for all of Wigan- thank you to everybody that helped and donated. Some of the children hadn't left Wigan before, and the way they handled themselves was nothing short of remarkable. Now we are setting our sights on the next competition!" A massive congratulations goes to Sam and the Wigan Dodgeball Warriors team who made it all the way to the final – narrowly missing out to their American counterparts! But their Wigan spirit already sees them busy training for the qualifying rounds of the next World Cup! We are delighted to have been able to support Lisa to enjoy watching her son achieve his American dream and we hope continuing to save with Unify will mean she can she her son compete again! Find out more about our loans.